Since Monday, September 1st, comrade Chiara Zenobi, NO TAV prisoner who is currently held in Rebibbia prison in Rome, has been on yard strike, refusing to go out on scheduled yard time, to protest against the isolation imposed on Graziano Mazzarelli, anarchist kept in solitary confinement at Borgo San Nicola prison in Lecce since his arrest, almost two months ago, who is charged in the same case (attack on the TAV worksite in Chiomonte in the night between the 13th and 14th of May 2013). On August 3rd, Graziano was moved to another individual cell, which made his situation even worse. The cells next to his are empty, and he is meant to go out alone in a messy yard. Furthermore his letters are stolen by jailers on a weekly basis, and the simplest daily needs, such as washing dirty clothes, are continuously hindered or delayed. Chiara’s refusal to go to the yard continues as long as Graziano is subjected to solitary confinement, a regime desired by both the prison administration in Lecce and the Turin prosecutors who, as often happens in such cases, are shifting the responsibility to each other. Since the morning of September 9th, comrades Niccolò Blasi and Mattia Zanotti have been on yard strike, too, while Claudio Alberto joined them on the morning of September 10th. According to recent updates, also comrades Lucio Alberti and Francesco Sala will carry out similar forms of protest against the isolation inflicted on Graziano. 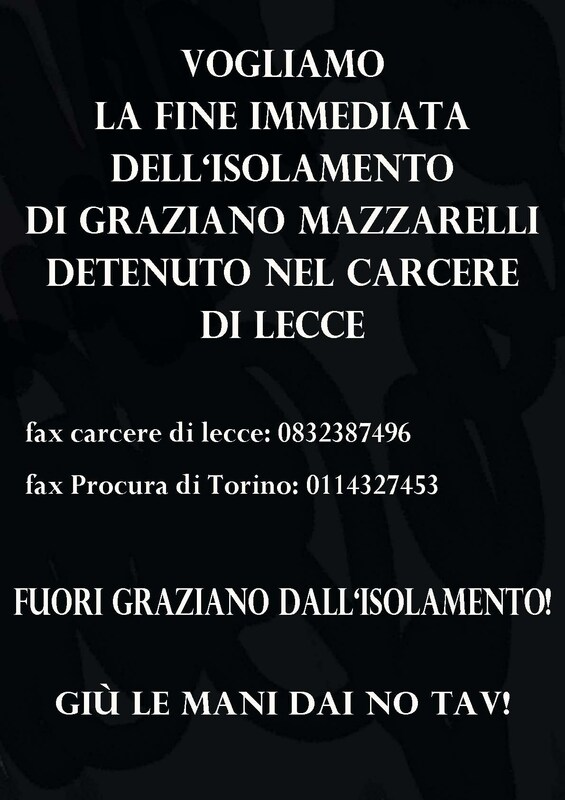 A call is made to support the initiative of solidarity with Graziano and put pressure on those responsible for this treatment, namely prosecutors Rinaudo and Padalino as well as the prison director in Lecce, Rita Russo, by sending faxes to the prosecutor office in Turin (0114327453) and the prison in Lecce (0832387496). 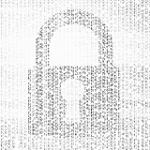 A fax model can be found here in pdf format.